IPL protective eyewear. Filter provides protection from 200-2000nm. Suitable to be worn over most prescription eyewear if required, but equally comfortable when worn by themselves. Adjustable length arms. IPL protective eyewear. CE certified filter provides protection from 190-1200nm . Suitable to be worn over most prescription eyewear if required, but equally comfortable when worn by themselves. Adjustable length arms. IPL operator protective eyewear in a close fitting wraparound XC frame style. Filter provides protection from 200-2000nm. Soft comfort fit and adjustable length arms. Complete blocking Laser or IPL patient protective eyewear in black or white. I-Block IV is an ultra lightweight laser or IPL eyeshield for patients allowing easy access to all areas around the eye during treatment while protecting the orbital area. Durette III patient eye protection with movable plastic nasal and temporal pieces. Suitable for both laser and IPL treatments. 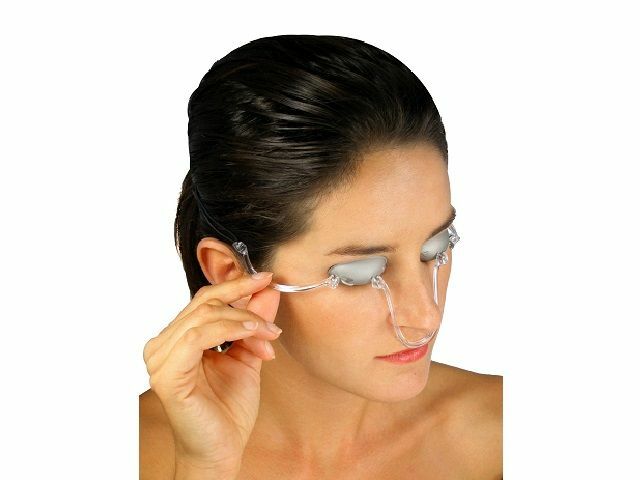 Patient eye protection suitable for both IPL and laser use.